The Blue Lagoon tale of two childhood lovers stranded on an island paradise is a movie we have each probably heard of or recall watching! The flick was made three times in slightly different versions of which were shot in the late 40’s, the late 70’s, and the last was a sequel called Return to the Blue Lagoon released in 1991. 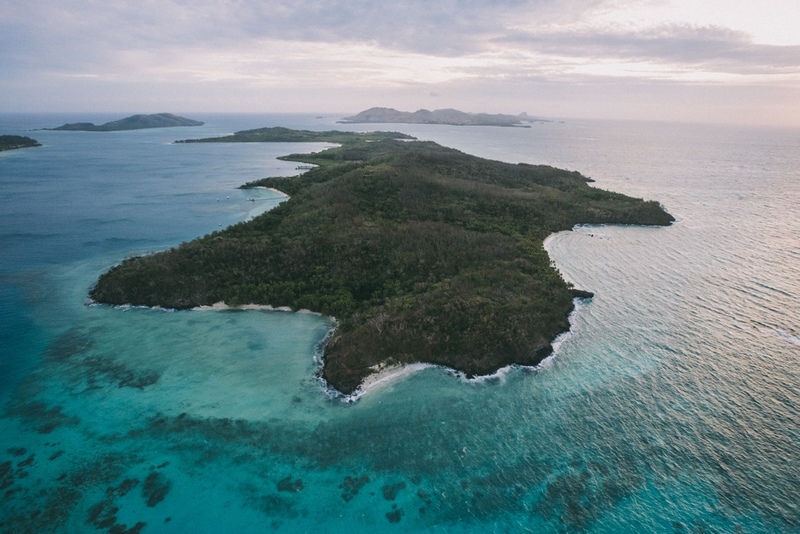 If you are a fan of the movie or not, a very cool thing came out of filming the second Blue Lagoon in Turtle Island (also known as Nanuya Levu back in the day). In the late 70’s, the movie location scouts came to Turtle Island again since it was used to film the first movie. Before the second Blue Lagoon take starring Brooke Shields and Leo McKern, the owner of Turtle Island, Richard Evanson, was approached to use the island for the second taping since he just bought the island. He, of course, said yes to filming. After filming had wrapped, Evanson suddenly realized how much joy he took to having people on the island who appreciated the beauty as much as he did. Therefore, he decided to open the property up as a resort and named it Turtle Island Resort. The luxurious property is truly a dream to stay at with just 14 bures and many white sandy beaches to explore. The island has a thriving natural environment and gets its power from its solar farm (nearly 1,000 panels produce more than 90 percent of the island’s energy needs). With the small number of bures guests feel like they have the island to themselves. Guests can also expect the finest Pacific Rim meals with freshly caught fish and greens just pulled from the five-acre garden. The resort has excellent wine pairings as well. We’ve previously written about the magnificent weddings couples can have at Turtle Island Resort here and perhaps none of it would be possible without the filming of The Blue Lagoon to give the owner a new perspective. Before 1972, Turtle Island was named Nanuya Levu. And Evanson bought the island in 1972, when he became burnt out from the work world. Evanson graduated with his MBA at Harvard in 1962. He was an entrepreneur and was successful in cable television. Before he bought Turtle Island, the 500-acre island was overrun by wild goats. But Evanson saw the potential. He arrived on the island with a refrigerator, tent, and a generator. Evanson dedicated his time to get the island in tip top shape. He employed a team of friendly Fijians to plant thousands of trees to reverse the damage made by the wild goats. The flora and fauna featured in The Blue Lagoon includes an array of animals from many different places. However, the iguanas filmed drew the attention of herpetologist John Gibbons. As it turned out, the movie helped to find a new species of the iguana! After watching the movie, Gibbons traveled to the island to see this iguana. He named it the Fiji Crested Iguana (Brachylophus vitiensis) in 1981. May 19, 2015 marked the 35th anniversary of the opening of Turtle Island Resort, which just happens to coincide with the second movie release in 1980. Therefore, Christopher Atkins and movie director Randal Kleiser returned to Turtle Island to celebrate the anniversary of the opening of the resort. The third Blue Lagoon was the movie called the Return of the Blue Lagoon starring Milla Jovavich and Brian Kraus. It was also filmed in Fiji but this time in the northern part of Taveuni with beautiful rainforests and white sandy beaches. 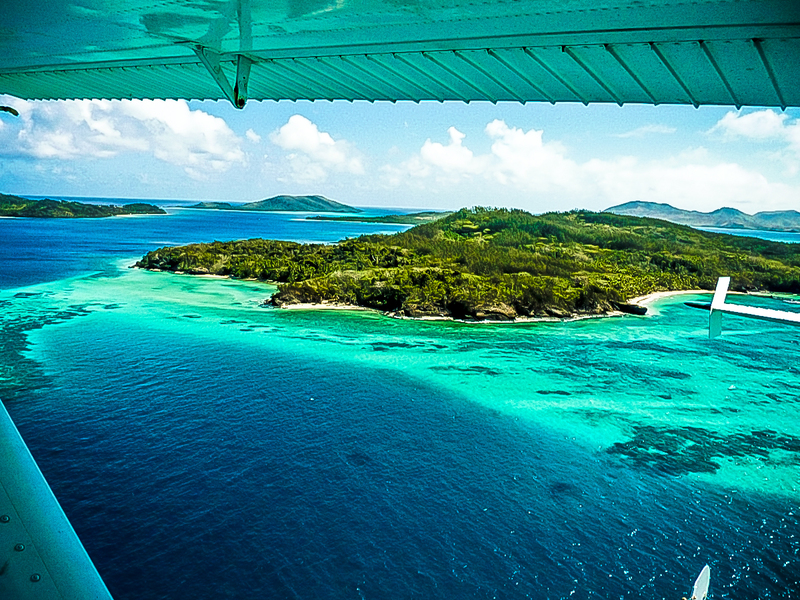 The founder of a tour operator in Fiji named his company after The Blue Lagoon movie in 1948. Trevor Withers lent a hand on the set of the movie and met Jean Simmons. It is said that this experience aided Withers in naming his cruise company Blue Lagoon Cruises. We talked in a previous article about the fabulous cruises you can take on Blue Lagoon Cruises here. Turtle Island takes care of the endangered green and hawksbill turtles with a turtle capture and release program. More than 500,000 trees have been planted over 30 years on Turtle Island, which have helped to stabilize hillsides and develop lush green rainforests. Look out for next week’s post, as we discuss the movie Cast Away!